Box and contents in good condition. This is the 1st edition. 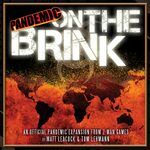 Sweetener: 1st edition Pandemic: On the Brink with the bio-terrorist pad unused.